"Herzog and Livni, well done," says MK Stav Shaffir of joint Labor-Hatnua list. 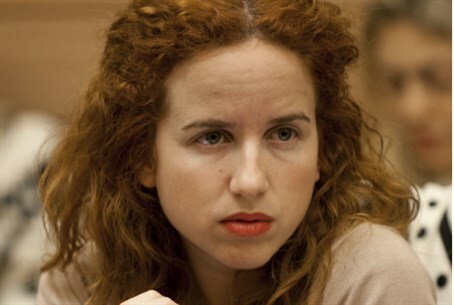 MK Stav Shaffir (Labor) welcomed on Wednesday the formation of a center-left bloc between her party and Tzipi Livni’s Hatnua party, saying the move “brings closer the end of the rule of the extreme right”. “It is so inspiring to see two leaders who are dealing with the best interests of the state and not with ego and narrow considerations. The move declared this evening brings closer the end of the rule of the extreme right. [Yitzhak] Herzog and Livni, well done," wrote Shaffir on Facebook. Under the pact, if Hatnua-Labor wins the elections and forms a coalition, Herzog would become Prime Minister for the first two years, and Livni would serve the last two years. The joint list would see Herzog in the number one spot, Livni in the number two spot, with spots reserved for Hatnua MKs Amir Peretz and Amram Mitzna, both former leaders of Labor who chose to run with Livni in the last elections. Peretz welcomed the pact between the two parties on Wednesday evening, saying, “I welcome the union which produces hope and a new horizon. This connection is another step towards the replacement of Netanyahu and we now have to produce additional steps to change the policy and the reality in Israel." “Herzog is acting very wisely when he makes such a great concession, thus convincing of his sincerity and setting an example for other Labor MKs who will also require to make concessions,” he added. Coalition chairman MK Ze’ev Elkin (Likud) was less enthusiastic about the pact, joining a long list of nationalist MKs who condemned the move. "Would you let a geek with 15 seats, who made a half and half rotation agreement with someone who barely passes the electoral threshold, hold any negotiations on your behalf? "Elkin wrote on his Facebook page. “The left is offering us the government of the musical chairs: They will split the premiership the way they split a cake in kindergarten. The ‘Beauty and the Geek’ government. Who will buy into that?” he added.